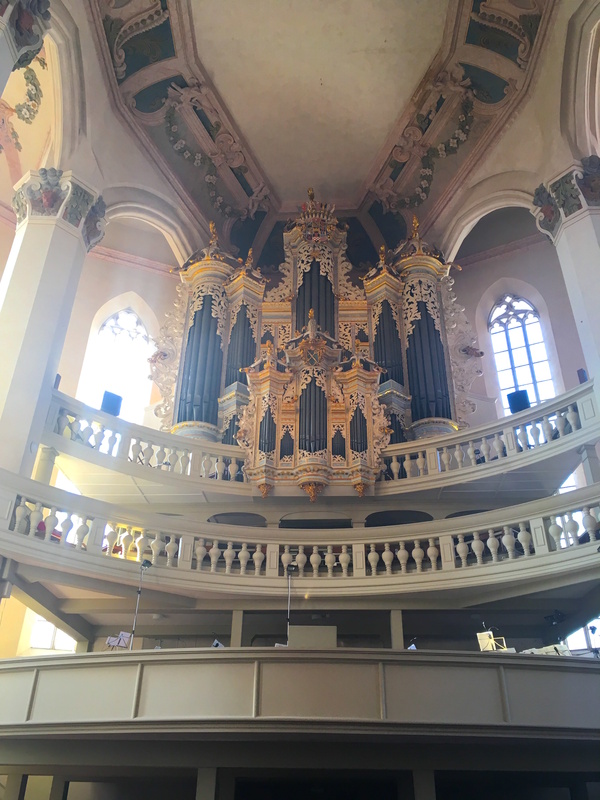 On 30 September 2017 Franz Danksagmüller performed the premiere of his newly commissioned work “Kyrie” at the Hildebrandt-Tage in Naumburg on an historic pipe organ that was once examined by Bach and Silbermann. Besides being the first performance of “Kyrie”, this was the first time in history that the organ had been processed through live electronics (Kyma) and the first time it was accompanied by a Minimoog. The Minimoog is a nod to Walter Carlos’ «Switched-On Bach» LP which was produced using a Moog synthesizer and is now considered an important historical instrument, so the historic pipe organ entered into dialog with an historic synthesizer. Part of Danksagmüller’s Broken Bach project, “Kyrie” begins with the compositions of J.S. Bach and several of his contemporaries, and reworks them using the techniques and means at our disposal today: sampling, remixing, digital sound manipulation and more. In this way the original compositions are taken apart and their rhythmic or harmonic essence is extracted. Then new pieces of music are constructed using these newfound building blocks. Last month, Franz performed a live sound track for the silent film Phantom of the Opera to a sold out audience of over 2000 at the Elbphilharmonie in Hamburg Germany.